Syrian officials demanded the UN impose sanctions on Israel after Tel Aviv conducted airstrikes near Damascus Airport. They say the attack was a heinous crime against their sovereignty by a country which doesn’t hide its policy of supporting terrorism. Tel Aviv committed a heinous crime against Syria’s sovereignty, said Syrian Foreign and Expatriates Ministry in two identical letters to UN Secretary General Ban Ki-moon and to the Chair of the UN Security Council, SANA news agency reported. The attack aimed to support armed terrorist groups in Syria, especially after Damascus made some progress in the cities of Deir Ezzor, Aleppo and Daraa, say Syrian officials. The Syrian Foreign Ministry called for UN officials to impose sanctions on Israel, whose authorities “don’t hide their policies in supporting terrorism.” Damascus also urged UN to take all necessary procedures to prevent Israel from repeating such attacks in accord with UN Charter. Despite the Israeli attacks, Damascus will not stop its efforts to combat terrorism in all its forms, types and tools and on Syrian soil, added the letter. On Sunday, Syrian state TV reported that Israeli army hit targets near Damascus Airport and in the town of Dimas near the Lebanese border. "The Israeli enemy committed aggression against Syria by targeting two safe areas in Damascus province, in all of Dimas and near the Damascus International Airport," the report said, adding that there were no casualties. On Monday sources from Syrian opposition told Arab media that Israeli warplanes destroyed a storage facility with drones and anti-aircraft missiles belonging to Hezbollah militant group in Lebanon. 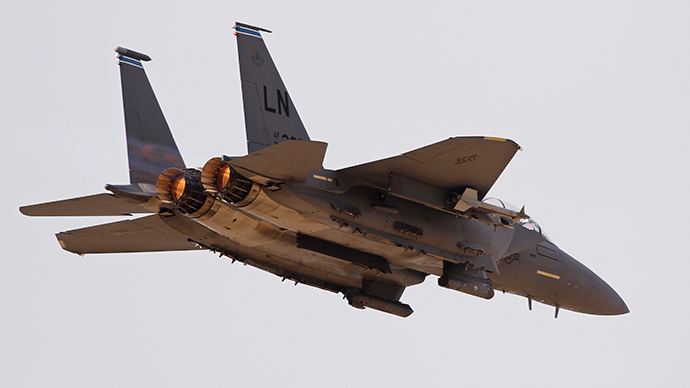 These weapons, considered to be “capable of tilting the strategic balance,” especially threaten Israel’s ability to act freely in airspace of Lebanon, says a report published in pro-Hezbollah Al-Akhbar newspaper. "@yurybarmin: #Syria-n TV reports #Israel-i air strikes on 2 safe areas near the Damascus airport. No casualties pic.twitter.com/FD7m64iIfM"
Israeli authorities have neither denied nor confirmed the attack. Israeli Intelligence Minister Yuval Steinitz only told an Israel Radio interview Monday, that Tel Aviv had a “firm policy of preventing all possible transfers of sophisticated weapons to terrorist organizations,” apparently referring to Hezbollah. The UN hasn’t yet commented on Israeli airstrikes in Syria either, saying there is no “first-hand” information. “We don’t have first-hand information to confirm. We will try to find more details, but now we have no comments,” Deputy Spokesman for UN Secretary-General, Farhan Haq, told TASS.